Some rare photographs of Uttam Kumar and his wife Gouri Devi grabbed by a local photographer, Sanat Pramanik, can still be seen hanging on the faded walls of a house at Notu village in Raina in Burdwan (East). Uttam Kumar, an evergreen icon of Bengali cinema, was keen to know and learn how to catch fish and had stayed at a remote village here for three consecutive days trying his luck in fishing. Unlike the house which has lost its glory with the passage of time, the photographs present the essence of a dazzling past where the actor had lived a common life in July, 1958. “Though he’d stayed for just three days, his sudden and unplanned trip to our house had brought us glory and pride. 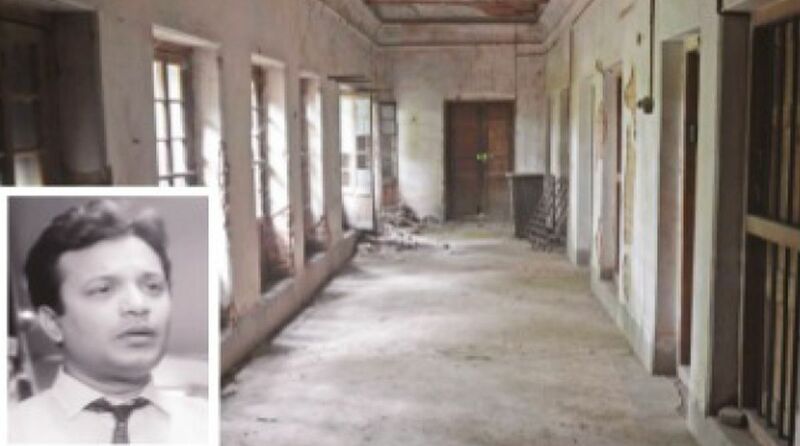 We and the local elderly residents of Natu and the adjacent villages still relish the memory,” said Subir Mukherjee, a descendant of the zamindar family at Natu. Subir is the nephew of Kamakshya Mukherjee, one of the partners of ‘Agradoot’, a phenomenal group of Bengali film technicians signing as director. Uttam Kumar had performed in as many as 25 movies successfully directed by Agradoot and some of the names were Pathe Holo Deri, Agnipariksha, Suryasakshi, Chhadmabeshi, Chirodiner, Manjari Opera, Nayika Sangbad. “So my uncle had grown a friendship with Uttam Kumar and they had intimacy,” said Subir. Uttam had expressed his desire to learn fishing. He tried his luck at Kulpukur, the pond owned by the zamindar family. Then he was taken to the Damodar river that still passes beside the zamindar’s house.